How long am I supposed to keep my company records? You should keep a copy of your Federal Income Tax Returns and the related documents supporting income and deductions for seven years. Under other circumstances, the period is unlimited. If you filed a return with The State of Illinois, that period becomes nine years. The period or Statute of Limitations at the Federal level which allows them to audit you without cause, begins on the date that you file your federal return and extends 36 months or three years. This means that you must keep the returns and all documentation substantiating income and deductions for at least that period. If you under-reported your income by at least 25%, they can audit back six years rather than three without showing cause to a Federal Judge. 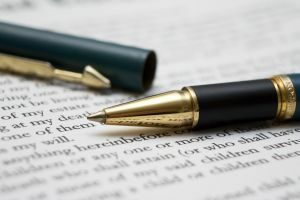 If you had a claim for worthless securities on your return, then you will need to keep the paperwork for at least seven years. Generally with The State of Illinois, you want to keep the returns and documentation at least nine years. If the Fed’s can prove that you filed a fraudulent return, then there is no time limitation for examination. They can go back as far as they would like. No one knows how much of a difficulty this is more than a small business accountant like me. We maintain records on behalf of our clients. Many other accountants do not. 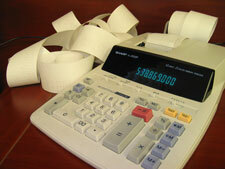 We have about two hundred entities where we do the bookkeeping, accounting and tax work. One of the ways that we protect our clients is by making sure that if audited we have the back up documentation necessary to protect them, their families, and their businesses. Imagine what my basement look like. But there is no substitute for an original document. Electronic records can be altered and falsified. An original document by its very nature is evidence. And evidence is what you will need to avoid additional tax, interest, penalty, and possibly jail time. If your accountant is not properly protecting you, we’d love to hear from you.